Following in the footsteps of other messaging and media sharing apps, Vine announced today that with Vine Version 2.0 users can now send private video messages. Vine messages, dubbed VMs for short, can be sent to any of your contacts, even those who don’t use Vine. The update also brings enhanced options for customizing your Vine profile. To send a VM, tap the new “Messages” option in the navigation menu of your Vine app. From there you can record a video and choose which friends to send it to. Through SMS or email you can even send your video to contacts who don’t use Vine. The app also lets you share existing Vines privately with your friends. Though you can send VMs to multiple people at once, you cannot start group video messages. Rather, each recipient you list on your VM will lead to a separate one-to-one conversation. When you receive a VM, you can quickly reply with a Vine message of your own by holding down the camera button. In your Vine settings you can toggle between receiving messages only from friends or from everyone. The latest Vine update also allows you to make your Vine profile your own by choosing a profile color in your settings. Since Snapchat started dominating the realm of personal messaging, it seems like messaging and media sharing apps have been racing to add video messaging to their own list of services. Skype added the option to send private video messages in June followed by Facebook with Instagram Direct in December. Even Google+ followed suit last month by adding stickers and video messaging to its iOS app. 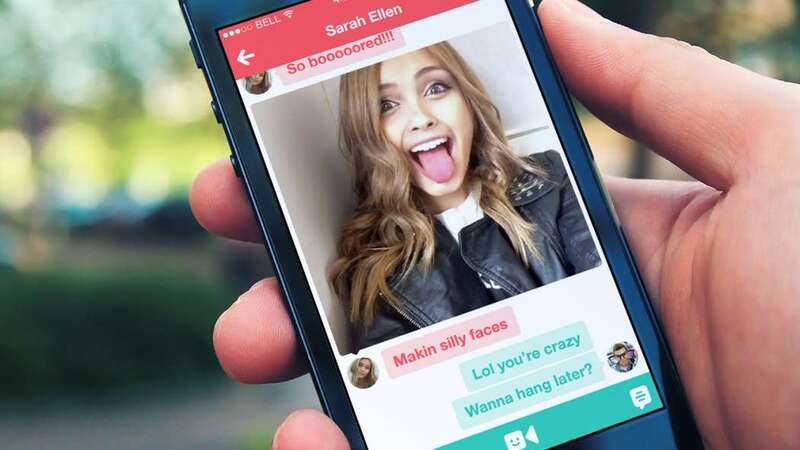 Vine’s messaging app, however, seems a little more user-friendly than its competitors’ due to the sheer ease involved in creating Vines and the fact that Vine lets you share videos with non-users over email and SMS, something that is a bit more complicated, or impossible, through other services. For example, now if I want to send a quick video to say hi to my mom, who doesn’t use Vine, I can simply text her a Vine instead of using my phone’s more complicated camcorder app to send a video. All in all Vine messages seem like one of the easiest ways to send short videos to friends and family, and Vine is undoubtedly hoping the feature draws people to use the app more often. Which app do you use to send video messages?